Shadowlight is a body of work focused predominantly on Rökkr magick and shamanism. The text featured within provide some of the context for artists associated with Shadowlight Kommunikations, such as Gydja and Torture by Roses. We have created a separate, blog-based page for relevant news and calls for submissions. With the amount of editors and writers creating devotionals and other related works of significance to the Rökkr, it seemed important to list them in one, easily updated and publically accessible place. Inclusion of a call for submission on this page does not in any way denote that we are affiliated with the original poster, or that they are affiliated or agree with us or the contents of this site. The Call For Submissions blog can be found here. In line with the above, we are happy to announce that the long awaited Jotunbok from our colleague and friend Raven Kaldera is available from Lulu or from Asphodel Press. Subtitled Working With The Giants Of The Northern Tradition, this over 500 page book is perhaps now the definitive work on the Rökkr or Jotuns, drawing together experiences from people all over the world. 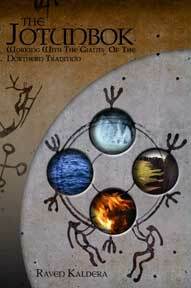 This is the first volume in a series of books by Raven exploring different aspect of northern shamanism. The other volumes The Pathwalker's Guide to the Nine Worlds, Wyrdwalkers: Techniques of Northern-Tradition Shamanism, and Wightridden: Paths of Northern-Tradition Shamanism, are also available.